The FEI Dressage World Cup™ season begins for Europe’s elite in Herning, Denmark this weekend, with the continent’s top stars desperately looking to get early points on the board as they bid for a place in April’s final in Gothenburg. Germany’s 2013 World Cup champion Helen Langehanenberg, with 16-year-old stallion Damsey FRH, is among those on the starting list for Herning. The Western European League will feature 10 qualifying legs before Gothenburg, so there are plenty of opportunities to move up the rankings. The Western European League begins in Denmark before taking in Lyon, Stuttgart and Madrid before the end of November. Salzburg, London Olympia and Mechelen take place in December before the final stages in Amsterdam, Neumünster and 's-Hertogenbosch. By then we’ll know which riders will have reached the Gothenburg final, which runs from April 3-7. Some 18 Europeans will qualify for the Swedish city, and Dufour is determined to take her place this year after missing out on the Paris final in 2017-18. 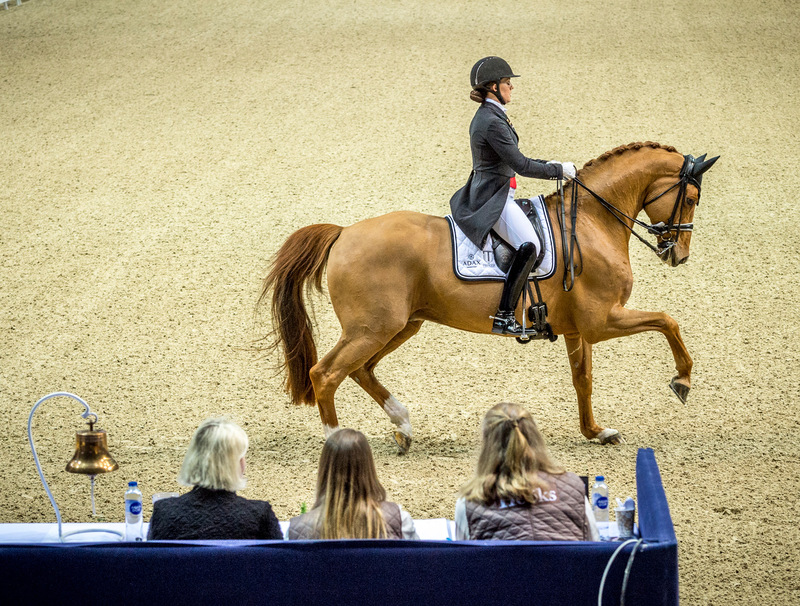 The Danish maestro wowed Dressage enthusiasts during the 2017-18 season, with two wins in just two World Cup starts. She opened the season with a brilliant surprise win in Herning last October, but it was her unforgettable victory in Gothenburg - when she became the first rider to be awarded a full set of nines in technical marks and beat legend Isabell Werth - that made the world sit up and take notice. Dufour chose to strategically rest Cassidy for most of the last World Cup season which meant she did not quite make the cut for the final, although she only just missed out despite only participating in two of the nine rounds. Wary of placing too much of a burden on Cassidy, Cathrine will see how eight-year-old gelding Bohemian fares in this weekend’s CDI3* in Herning with the hope she can split the World Cup workload between the two horses over the next six months. “It’s Bohemian’s first big indoor event and I want to see how he copes with the atmosphere and the noise,” she told FEI.org. “I have a feeling he’ll thrive in it, whereas Cassidy has always been better outdoor. While there are a few unknowns concerning Bohemian, there is no doubt that the gelding and Cathrine will have the crowd at the 12,000-capacity Jyske Bank Boxen behind them. She admits that she thrives with support behind her, and this year her focus is very much on World Cup success. 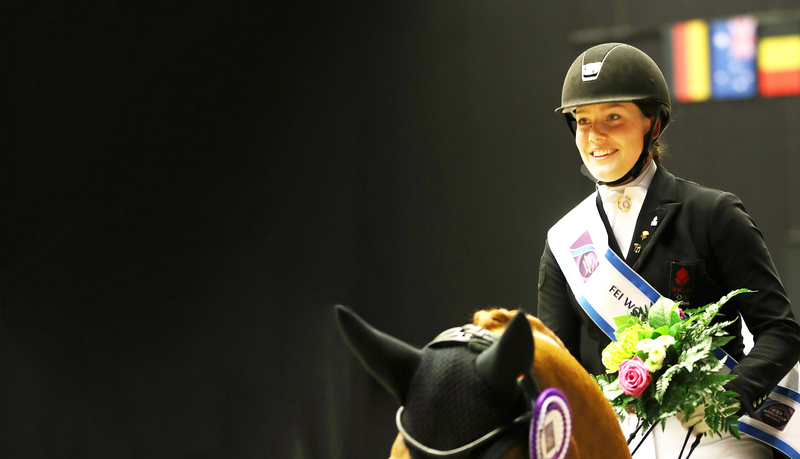 An April date in Gothenburg could be just perfect as the Swedish city was the scene of her greatest performance to date, as well as the location where she won four medals in her breakthrough performance at the 2017 FEI European Championships. “Last year in Herning was the first time I really felt the support of a big home crowd at a World Cup event and it was incredible,” Cathrine said. “They were crazy for us and it really spurred me on. It’s what you dream of. And what of her chances of FEI Dressage World Cup™ glory in 2018-19? “I don’t think we are quite at the top yet, but we want to be up there,” she said. “Of course, everyone looks at Isabell because she’s a fantastic champion, and I’m looking forward to competing with all the other top riders. This weekend’s World Cup action gets underway with the Grand Prix on Saturday at 11.00 local time and the Freestyle which begins at 14.30 on Sunday. Around 35 of the best riders in the world will qualify for the Gothenburg final in April. The North American League begins in January, while riders will also take part in qualification tournaments in other parts of the world. Watch all the best action on FEI TV.